Autumn is the time for heater replacement services. With winter on the way and cold weather already here, homeowners with old, worn heating systems want to put in new ones before the temperatures drop too much lower. Doing so means you can take advantage of the improved efficiency a new heating system can bring, as well as reducing the chances of a winter breakdown as much as possible. Most homes in the area rely on traditional heating systems like forced-air furnaces and boiler systems. But they’re not the only type of system available, and if you are in the market for a new heater, it pays to explore the possibilities that an alternative model may provide. 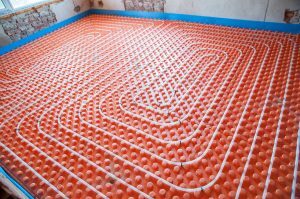 Among the systems you may want to consider is a radiant heating system, which involves warming the home directly through the floor. Here’s a breakdown of how it works and what kind of benefits it brings. Posted in Heating | Comments Off on How Does a Radiant Heating System Work? With the coming of autumn comes cooler temperatures. And with that, your air conditioning is likely going to be put out to pasture until the spring comes around once more. We rarely have need for air conditioners during the cold winter months here in Ohio, and indeed you should never even turn your air conditioner on if the temperature drops below 65°F. (It could cause a lot of damage.) 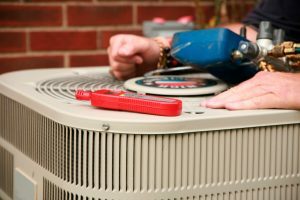 If you’re facing an air conditioning repair issue, the question becomes when to schedule it. Should you do it as soon as possible and get it out of the way? Or wait until spring? The answer depends on you. Posted in Air Conditioning | Comments Off on Fall or Spring: What’s the Best Time for Air Conditioning Repair?